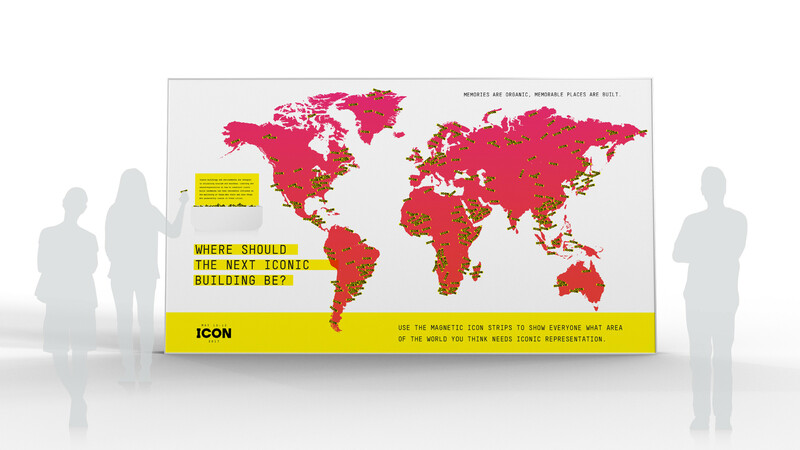 A conference based on the economic influence and social impact that iconic architecture has on the cities they're built in. 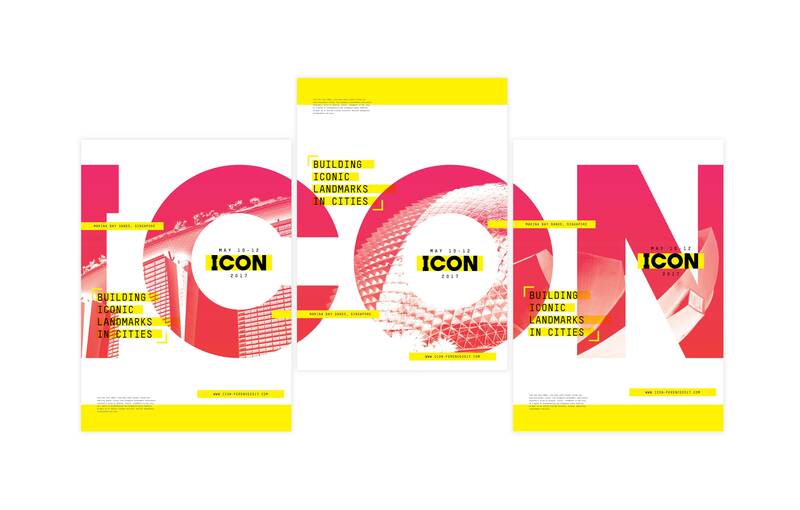 A whole range of collateral was produced and mocked up--constructing the brand system of the ICON concerfece. This includes: a poster series, signage, name tags, tote bags, websites, app screens, and an environmental piece.